With my love of the purple drank, Jew knew this was coming, right?? 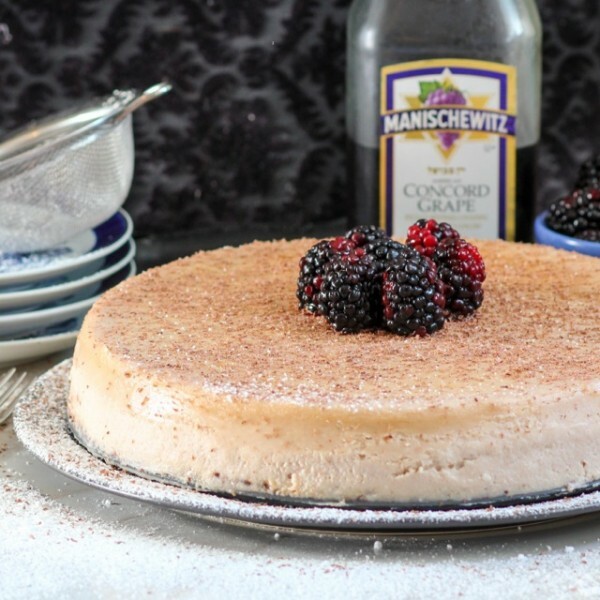 Manischewitz Cheesecake!! I’ll let the excitement of this dessert sink in for a moment. 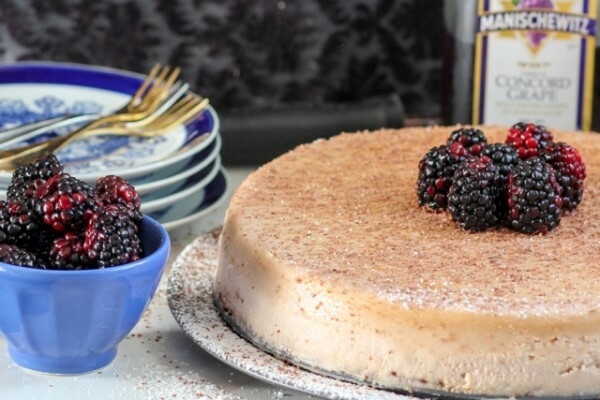 Manischewitz spiked cheesecake with a chocolate cookie crust and Manischewitz spiked blackberries and chocolate! !11 So excited I can’t type. Y’all know I love cooking with the sweet stuff. Manischewitz Ice Cream, Manischewitz Jell-O Shots, even Manischewitz Poached Eggs! (Don’t knock it till you try it.) So it’s time for cheesecake. 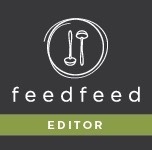 Shavuot is the perfect time of year for this recipe. This holiday celebrates Moses receiving the 10 commandments on Mount Sinai. 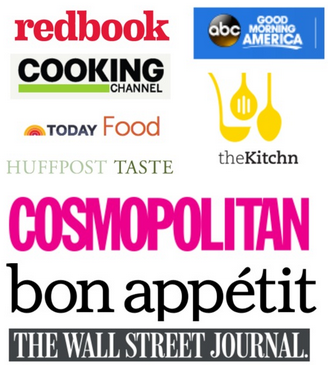 Kind of a big deal. With the commandments came keeping kosher. AKA not mixing milk and meat. Well it’s a heck of a lot easier building a cheese plate than figuring out how to slaughter an animal the right way, so we eat dairy to celebrate! 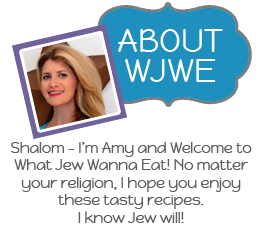 I’m talking kugel, blintzes and cheesecake. Especially the cheesecake. 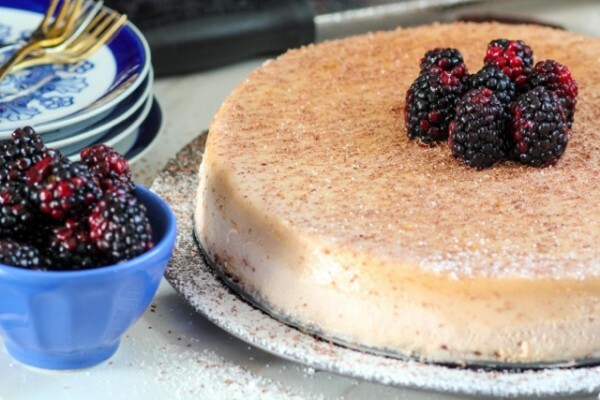 So if that doesn’t convince you to make this cheesecake, I don’t know what will! But cheesecake can be intimidating. But the result, is totally worth it. I mean look at this cake! For the first time ever, I didn’t even have one little crack in my cheesecake. Look, Bubbe, I’m all grown up! 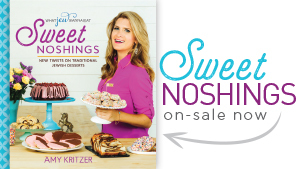 But if you do have cracks, just cover this sucker in powdered sugar, chocolate shavings and Manischewitz soaked berries! Or just eat all the boozy berries until you can’t even see the cracks. That works too. 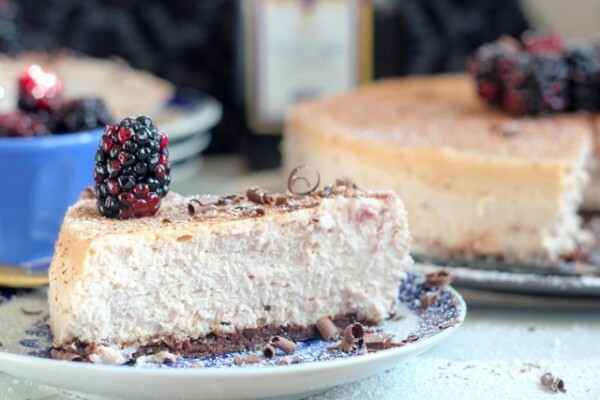 Boozy Manischewitz Cheesecake for Shavuot or a random Tuesday! Preheat oven to 350 degrees F, and place a rack in the lower third of the oven. First, start by preparing the springform pan. You need one. Go buy one! 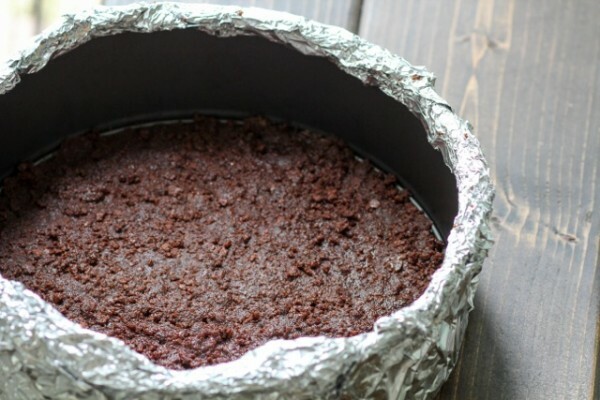 Wrap the outside of the pan in a large piece of heavy duty foil and fold over the sides, making sure to secure. Repeat with another piece of foil and a third if you are crazy like me. This will protect your crust from the water bath, which helps cook the cheesecake gently and evenly. 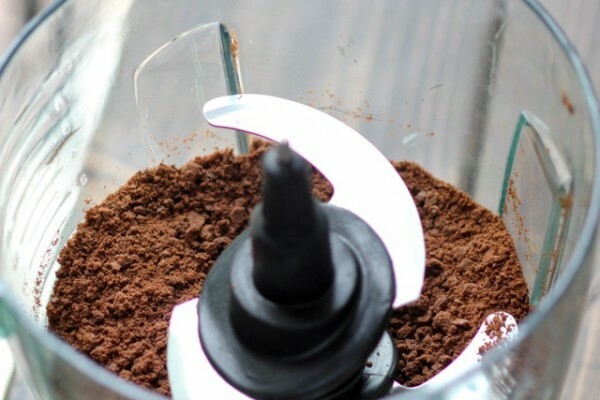 Make the crust by pulsing the cookies in a food processor until fine (I apparently didn't do the best job at this as someone found a Teddy foot in their piece of cake. Oops.) Then mix in sugar and salt, and incorporate the butter evenly with a spoon or your hands. Press the crust into the bottom of the pan, making sure to there are not any holes. Bake for 10 minutes, let cool, and lower oven temp to 325. Time to make the filling! 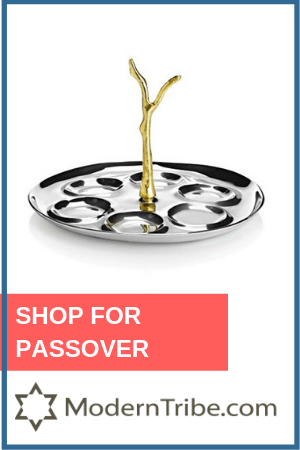 Put the Manischewitz in a medium saucepan and bring to a simmer. Simmer until it reduces down to a little more than ½ cup. Let cool. 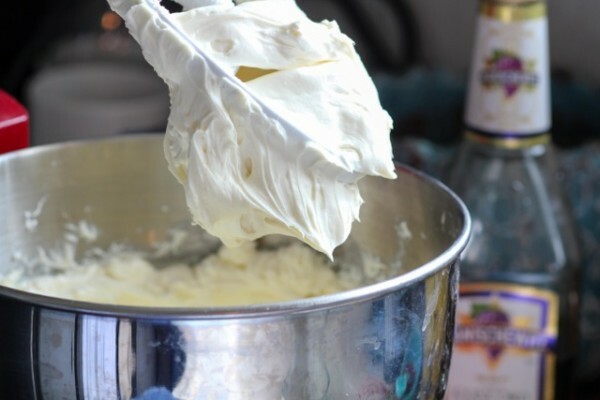 Meanwhile, cream the cream cheese in an electric stand mixer with a paddle attachment on medium high for 3 minutes, or until very creamy. Then add the sugar and salt and beat another 3 minutes. Add in the sour cream and beat that in. Then add eggs in one at a time (not all at once! ), and beat in each one after adding. 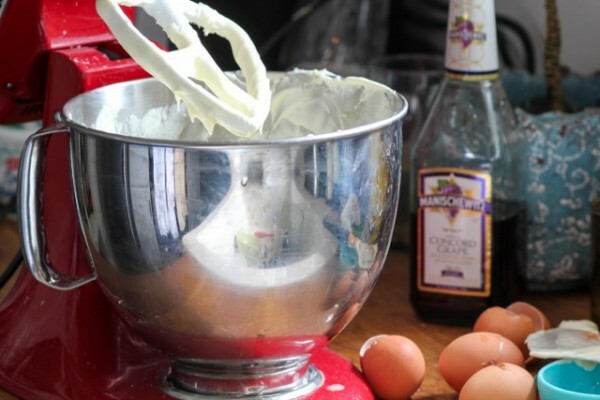 Make sure that none of the batter is sticking to the sides, scrape that in. You want everything incorporated and whipped to perfection! Lastly, beat in Manischewitz, reserving a few tablespoons for the boozy berries. Put the springform pan with the crust in a roasting pan with high sides, and pour the batter into the pan. Boil water and fill the pan halfway up on the sides with the water. Place the pan on the lower rack of the oven (you can also pour the water in the pan after placing it in the oven. Careful either way!) Bake for 1 - 1.5 hours until cheesecake is firm but still a little jiggly. Crack open the oven door slightly and turn off the oven. 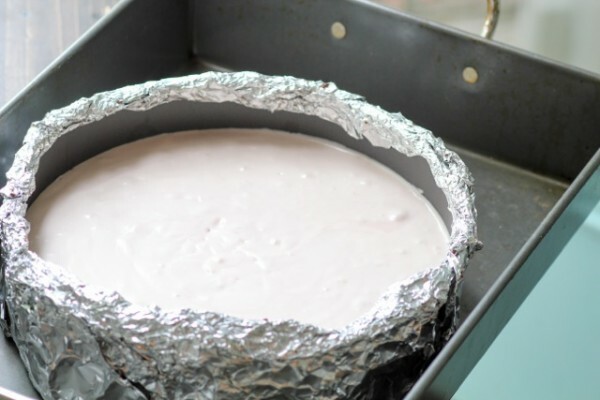 Let the cheesecake cool this way for an hour. This will help cool the cake evenly and prevent cracks. 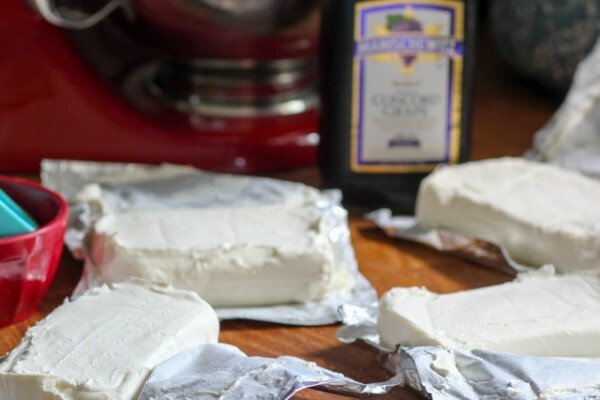 Cover the cooled cheesecake with foil and refrigerate overnight. When ready to serve, carefully run a knife around the pan edge and remove the springform edge from the cake. Toss blackberries in remaining reduced Manischewitz. 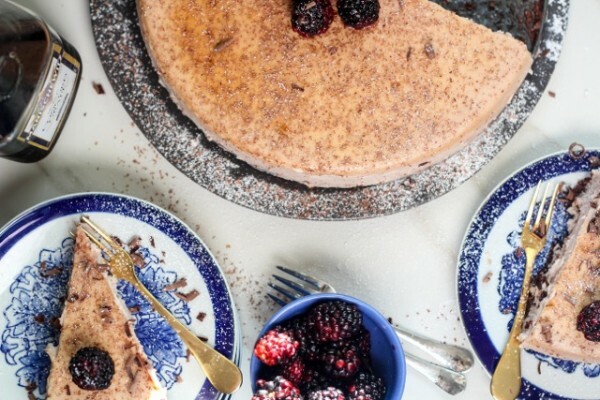 Garnish cake with chocolate shavings, powdered sugar and boozy berries! Make the day before you need to serve. This looks so good! And I love your writing – hilarious! Anything with boozy in the title is a win for me. And I love cheesecake! OH YUM! 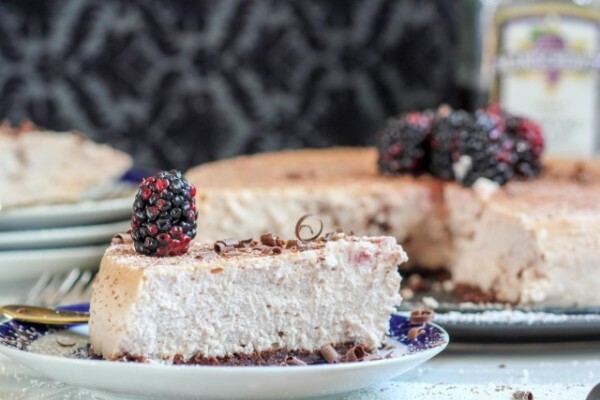 This cheesecake looks gorgeously delicious! Thanks Amy for sharing this.. will try my hands on it soon. So innovative and its just amazing. It looks really delicious! I might try it this weekend. Wow, this cheesecake is amazing! I am a huge fan of blackberries. 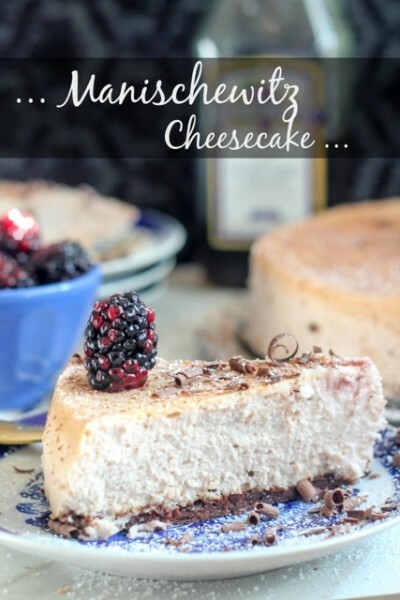 I love the creaminess of this cheesecake. I’ll take one slice, please! There goes my diet. But what a way to go!